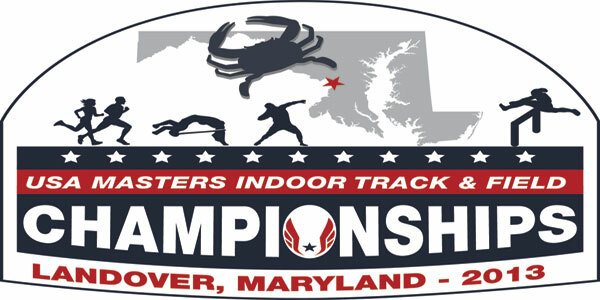 A record 1,043 athletes, which includes a total of nine Olympians and 30 world champions, are expected to compete this weekend when the 2013 USA Masters Indoor Track & Field Championships converge on the Prince George’s Sports and Learning Complex in Landover, Md., March 22-24. Headlined by Ed Burke, the 1984 Team USA Olympic flag bearer, the nine Olympians competing in Landover took part in Olympic Games ranging from 1956 through 2012. A total of 30 age-group Masters World Indoor and World Outdoor champions will also compete. 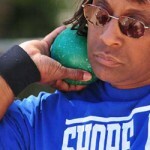 Edward Burke (Los Gatos, Calif.) – The Olympic flag bearer and hammer thrower for Team USA at the 1984 Los Angeles Olympic Games, Burke will compete in the weight throw and superweight. He holds the world record for his age group in the weight throw. Rob Muzzio (M45, Clifton, Va.) – Muzzio placed fifth in the decathlon for Team USA at the 1992 Barcelona Olympics. He competes in Landover in the shot put and pole vault as a member of the Potomac Valley Track Club. Elliott Denman (M75, West Long Branch, N.J.) – A competitor in the 50km race walk at the 1956 Melbourne Olympic Games, Denman will compete in the 3,000m race walk and the weight throw at the Masters Indoor Championships. Jim Barrineau (M55, Burke, Va.) – A veteran of masters track and field competition, Barrineau represented the U.S. along with Dwight Stones in the men’s high jump during the 1976 Montreal Olympic Games. He will compete in that event in Landover. 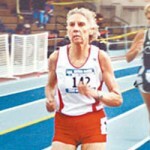 Ann Marie Flynn (W75, Westport, Conn.) – A member of Team USA at the 1956 Olympic Games in the high jump, Flynn will compete at the Masters Indoor Championships in the shot put, weight throw and superweight. Chris Williams (M41, Colton, Calif.) – Williams is a three-time Jamaican Olympian (2000, ’04, ’08) as a member of the 4x400m and will compete in Landover in the 60m and 200m. 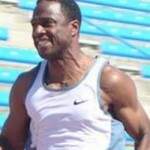 Chris Faulknor (M50, Los Angeles, Calif.) – A member of Jamaica’s 4x100m relay at the 1988 Seoul Olympic Games, Faulknor will run the 60m, 200m and 400m at the Masters Indoor Championships. Karl Smith (M50, Alexandria, Va.) – Smith will compete in the 60m, 200m and 400m in Landover after representing Jamaica at the 1984 Olympic Games in the 400m hurdles and 4x400m relay. Bibiana Martina Olama Mangue (W30) – Represented Equatorial Guinea at the 2012 London Olympic Games in the 100m hurdles and will compete in the 60m hurdles in Landover.